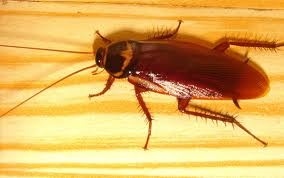 Palmetto bugs are a common sight in the Hilton Head area. These large bugs can spread germs and contaminate food in your home, so it’s important to prevent them from coming around. If you want to reduce your risk of needing a SC palmetto bug exterminator, keep the following tips in mind. Palmetto bugs can squeeze into tiny gaps in order to get inside your home. Look for cracks and gaps on your home’s exterior and around doors and windows. Seal these up with caulk to get rid of potential entry points for all bugs. Letting drains get dry also provides palmetto bugs with an easy way to get into your home. Make sure you flush all toilets in your home and run sink faucets once a day. 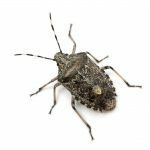 You can prevent palmetto bugs from coming around your property by keeping it in good condition. This means mowing your lawn regularly, trimming bushes, getting rid of weeds and keeping garbage cans securely covered. Having food and drinks outside can attract palmetto bugs. Put leftover food away and dump any drinks that you’re finished with. You should also put pet food away and clean up crumbs in your kitchen and dining room. Palmetto bugs typically congregate in places that offer a steady supply of water. Get rid of any standing water you have in your home, such as in the sink or in pet bowls, before going to bed at night. Palmetto bugs make their home in paper piles, cardboard boxes and other types of clutter. 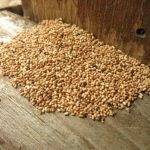 Eliminate piles of clutter in your home to discourage these pests. 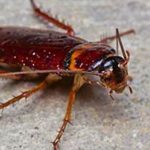 If you have these pests in your home, don’t hesitate to hire a SC palmetto bug exterminator to eliminate them. Contact Island Pest Control to learn more.